Hey there! My name is André Mucci Nolandi, I’ve been studying 3D for about one and a half year aiming to start working on the video game industry someday. Biggest dream for sure! This is my first tutorial ever, and here I’ll show you guys a little bit of the workflow I used to create this Alien bust inspired on a mask by Jordu Schell. You can use this workflow on your own projects, as it suits you. I started using a bust basemesh I grabbed from ZBro, which you can find here on his blog. Basically with the Move Tool, I start adjusting the proportions and sizes according to my reference. To make things easier for me, I usually separate the mesh in different polygroups, so I can isolate them real quick. Start subdividing it and establish the main volumes and primary forms first. Remember to always use references! I used this ones. After you’re satisfied with the silhouette and proportions, you can start taking care of secondary forms. Don’t worry about details at this stage, you should focus on a good base. If your base isn’t strong enough, details won’t add any value to your model. Lastly, you can start bringing some asymmetry and fine details. I use subdivisions a lot because I can have a better control on the main shapes; basically, raise subdivision to work on details, lower it adjust the silhouette, and so on. For most parts I use only these brushes. Move tool, ClayBuildup and Standard are the main focus in the beginning. Dam_Standard and Pinch will help later with details and refining some shapes. Standard will be very useful on the final stage, with alphas, to add fine details. Drag and drop works just fine! Try not to depend much on alphas. Use them carefully and moderately, otherwise it will be too repetitive and won’t look any natural. For fine details, use a small size for Standard, or maybe Dam_Standard, and add “by hand” the details you wish, like in traditional sculpting techniques! When you’re satisfied with your model, it’s time for painting. The painting technique I used is based on layer painting, sorta like in Photoshop. It’s also very similar to a technique used to paint models and masks for movies. Again, traditional technique! To illustrate better this technique, here’s an awesome video tutorial by Scott Spencer, from 3D World Magazine. It’s a 9 part tutorial, worth every second! Part 1, Part 2, Part 3, Part 4, Part 5, Part 6, Part 7, Part 8, Part 9. I basically adjusted and changed the color tones to what I was looking for, something more alienish. Posing it is very simple. 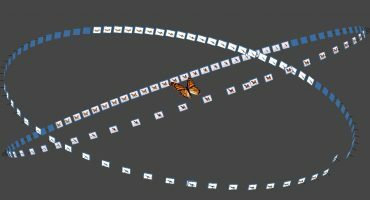 Transpose tool will do the work. Just mask the bottom half, adjust the rotation axis, and rotate! In cases like this I usually rotate the base of the bust, because this way his face will keep pointing to the front view. Ok! We modeled, detailed, painted and posed. But we have lots and lots of polygons. Time to create a low resolution version! For the retopology process, I used Topogun. Here’s some videos with tutorials and instructions. Pro tip: for this part, focus on the silhouette. Add polygons to smoother parts, in order to maintain the volumes and shapes. Parts like eyes, nose, mouth and ears will require more polygons. Also try to keep the polygons in similar size. In this case I tried to keep as much quads as possible, but don’t worry much about it. Since it’s not a production model or so, we can use some triangles. We will convert to triangles later because a triangle is the true form of a polygon, and quads are only our human eyes comfort. Now we got our low-res model, it’s time to transfer all the work we did before on the hi-res version. That means it’s UV time! I brought the low-res to 3DS Max and unwrapped his UVs. There are many, many other tools for this job, so you’re free to choose. On ZBrush, I took the hi-res model, decimated it and exported as .obj file. It will be used to bake our maps. With both hi-res and low-res meshes, I baked the Diffuse and Ambient Occlusion maps in Topogun, and the Normal map in xNormal, which you can grab here. Super simple and super awesome and fast results! With those maps baked, I threw them in Photoshop for some minor adjustments and refinements. Since I was in Photoshop I took advantage and created a Specular map as well. Now we got out maps created, time to assemble them and export to Sketchfab. The method I used: check the material boxes and change the faces to triangles. Sketchfab exporters can also be used, you can check them here. To upload the model, I compressed the .obj and .mtl file to a .zip, and voilà! 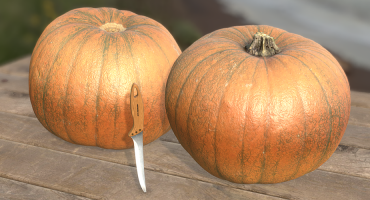 Now you just need to adjust the values for textures and materials until you get a result that suits you. You can also use the latest Zbrush2Sketchfab exporter, to publish your model directly from inside Zbrush. I really hope this tutorial was useful somehow for you, and that you enjoyed as much as I did creating it. Looking forward to see awesome models here! 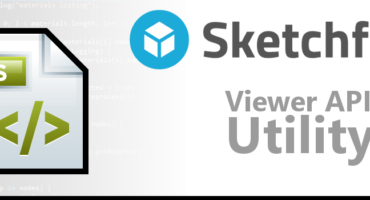 Have fun with Sketchfab!